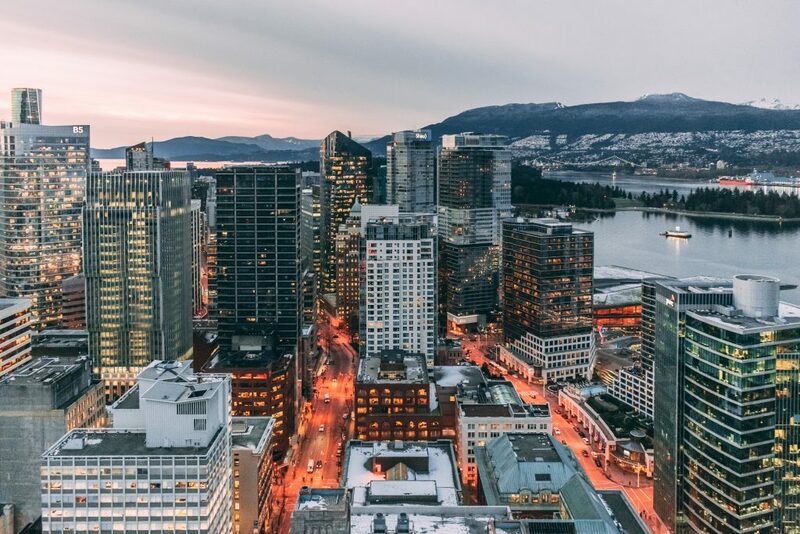 Brandon Raynor’s College of Massage and Natural Therapies offers intensive massage courses in Vancouver as well as more than 30 other locations worldwide. Our exemplary style of massage encompasses the best techniques from around the world, such as Shiatsu and reflexology. Raynor Massage is very different to most other massage therapies available. We have a holistic understanding of the body, recognizing that both physical and emotional tension will have a negative impact on the physical body. Massage treatments are popular for many conditions, such as stress, pain or restriction in mobility. We do not treat symptomatically or only focus on problem areas. Nor do we perform a light ‘relaxation massage’ designed to give short term relief. Instead, we treat the tension which is so often the root cause of pain and restriction. Our intensive method of training suits mature people who want to quickly learn an effective and popular style of massage. To this end, we offer an intensive 5 day Certificate Course as well as a Diploma Course and our Advanced Practitioners Diploma Course. Students at our courses will be massaging and practicing techniques every day. Whether it’s the Certificate, Diploma or Advanced Diploma Course, all of our courses focus on practical skills. Generally speaking, our students spend 80% of class hours practicing, receiving and observing massage. We spend the remaining 20% discussing the theory of Raynor massage and other subjects. These include hygiene, professional ethics, contraindications, the theory of hand and foot reflexology and the qualities of different aromatherapy oils. Our students don’t just learn to massage the common parts of the body, such as the neck, back, arms and legs. We believe that it’s important that you learn the significance of hand and feet massage, scalp and face massage and most importantly, abdominal massage. Japanese medicine considers the abdomen to be the hara, or centre, of a human being. Therefore, abdominal massage can bring positive effects to the clients physical and emotional well being. Our courses are accredited with the International Institute for Complementary Therapies, and the International Natural Therapies Association. In British Columbia, there are some restrictions around who can use certain terms and how much time they have studied for. Although our graduates are not allowed to use the term “massage practitioner” or “massage therapist”, you can still practice professionally after completing our course and use similar terms such as massage professional or Raynor bodywork therapist. You can also still purchase insurance. Read more from the Canadian section of our dedicated insurance and accreditation page here. We offer massage courses in a variety of locations around Canada, trying to travel both East and West. If our locations are not convenient, we would be happy to travel and teach a custom massage course. We usually require a minimum of four people to deliver a personalized course. If you’re interested but not sure, feel free to email us and we can walk you through your options or put your name down for any future Raynor Massage Courses near you. We would love to hear from you if you’d like to learn more! Contact us to learn more about our massage courses in Vancouver. We also offer courses that teach other natural therapies. Have a look at our Wholefood Nutrition course, Vegan Nutrition Course, Herbal Medicine course, Ayurvedic and Chinese Medicine, Flower Essences, Introduction to Anatomy and Physiology course and Naturopathy course. We’ve designed these as correspondence courses so you can complete them at your own pace. Many of our graduates in Vancouver successfully practice our style of massage in spas, gyms, massage establishments and private practice. Our training is enriching and of real value to our students’ careers and therapeutic practice. If you’d like to learn more, then scroll down to read reviews from past students. Our 5 day Raynor Massage Certificate Course teaches students all the basics of Raynor massage. No previous experience is necessary to take this course, so it is a great place for beginners to start. This short massage course is highly recommended for people wanting to massage friends and family, although it will also qualify you to start practicing as a therapist. Our 10 day Raynor Massage Diploma Course includes the 5 day Raynor Massage Certificate Course. Our students begin by learning how to give a therapeutic massage over the first 5 days, we then build on this foundation by teaching more advanced techniques and knowledge. From joint mobilisation techniques to reflexology and aromatherapy, this course gives you everything you need to massage effectively. We recommend this course to prospective students who would like to practice as professional massage therapists. Our 5 day Raynor Advanced Practitioners Diploma Course covers the additional aspects of Raynor massage which make it into an art form. Our students will shift their focus to emotional release work, enhancing your rhythm and flow as a therapist, massage strategy and diagnosis. This class is only open to graduates of the Raynor Massage Diploma Course. Our Massage courses have helped many people with their career and personal lives. I just completed the diploma course in Perth (April 2017) and I just loved everything about it! I came specially from NZ, so I was already motivated. It was exactly what I wanted. It is more than a simple massage that... read moreI just completed the diploma course in Perth (April 2017) and I just loved everything about it! I came specially from NZ, so I was already motivated. It was exactly what I wanted. It is more than a simple massage that we all have probably experienced. I had personally personal emotional releases and the last one has been very beneficial. I have been able to finally understand all my anger, sadness that I worked for a lot of years at the emotional level but I never realised that the body keeps the memories as well. The same evening I have been able to forgive myself, and I changed the traumatic images into beautiful images. It is an enormous transformation and it will help me in my future. 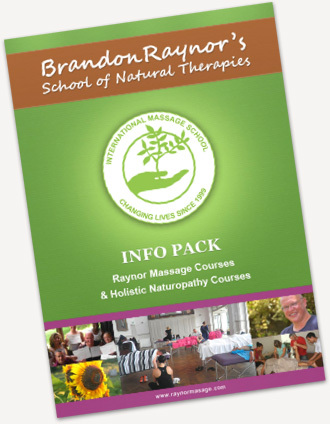 I have just completed the Raynor Massage course in Sydney and can't recommend it highly enough! I didn't have any experience in massage beforehand, and found the course easy to follow and the techniques super effective! Brandon's endless knowledge and... read moreI have just completed the Raynor Massage course in Sydney and can't recommend it highly enough! I didn't have any experience in massage beforehand, and found the course easy to follow and the techniques super effective! Brandon's endless knowledge and experience, and holistic approach to massage is amazing (Ayurveda, Chinese medicine, shiatsu, thai massage, reflexology, accupressure etc). The techniques are simple, but I have never seen massage have such a instant and holistic effect on the body! The course is very practical with lots of demonstrations and hands on practise, but little attention to detailed anatomy and physiology. Coming from a human movement background I appreciated this approach very much, but if you didn't have much understanding of the body and how it works, you might feel a bit more confident with a bit of self study before the course. Basic anatomy and physiology is simple enough to learn at home, and I'm glad we used class time on practical rather than learning the names of every muscle. Brandon is a wizard himself, and simply steaches students to FIND and FEEL tension, and how to get rid of it longterm. It's quite an intense course, but I graduated feeling confident and excited to start practising. I just finished the course and Raynor massage is certainly a very powerful tool to help people heal physical and mentally. Brandon and Cori just compliment each other so well in teaching the course, I cant wait to use skills I... read moreI just finished the course and Raynor massage is certainly a very powerful tool to help people heal physical and mentally. Brandon and Cori just compliment each other so well in teaching the course, I cant wait to use skills I learned and implement them on others as well as myself. Since I completed the diploma course in November 2016 I'm working full time as Raynor massage specialist and I love it. We encourage you to get in touch with us. We’d love to hear from you.